Each of these faction-specific token sets includes 10 focus tokens sporting the factionâs color and symbol in addition to over 30 status tokens for tracking spells and in-game effects. 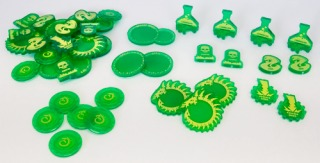 The spell tokens are completely customizable, so you wonât have to spend time fishing around for the right token or carry multiple sets for different warcasters. 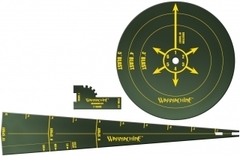 Just mark the token with a dry-erase marker and get back to the action in seconds! 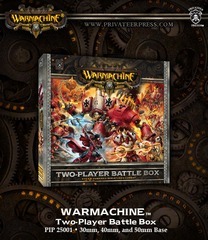 Made from high-quality plastic, WARMACHINE token sets arm players with everything they need for the front lines!